LUXURY TOWNHOME 3 BEDROOMS, 3 1/2 BATHS and 2 CAR GARAGE, located in most sought out NORTHWEST CORNER of SEMINOLE COUNTY. Desirable HEATHROW location. Enjoy the best of both worlds. Residential living with a city feel. One mile to I-4 and the 417. Walk to COLONIAL TOWNPARK shopping center to watch a movie, dine at one of the numerous restaurants or enjoy a day of shopping. CAREFREE LIVING is here in this gated neighborhood, GRANDE OAKS at HEATHROW. 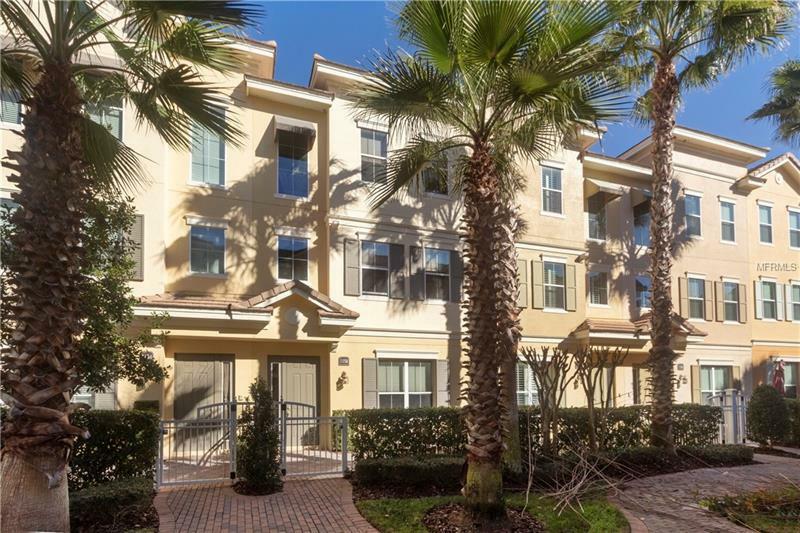 Look at these beautiful photos to see what this Townhome and Community has to offer. Community features: CLUB HOUSE, COMMUNITY POOL, HEATED SPA, FITNESS CENTER, and TOT PARK along with BASIC CABLE and SECURITY. Ground Floor level includes 2 Car Garage, Bedroom/Den with Full Bath and Closet in room, Large Foyer, Laundry Room. This floor has been updated with Beautiful Wood Like Grey Tile! There is a PAVER PATIO at front entrance to enjoy our fantastic Florida days. The second level features Large Tiled Family Room, Dining Room with Balcony, Half Bath, Kitchen with STAINLESS STEEL APPLIANCES, 42in CABINETS, and GRANITE COUNTER TOPS. Kitchen has a Center Island with Eat-In-Bar! The third level features the Master Suite complete with Bath that includes LARGE SHOWER, GARDEN TUB and DUAL SINK VANITY. There is an Additional Bedroom with Full Bath on this floor. Light Fixtures, Fans and Custom Drapes included! Bonus 1 Year Home Warranty paid by Seller! This is TRULY UPSCALE CAREFREE LIVING AT IT'S BEST! This property may be under audio and visual surveillance. Pet Restrictions: Confirm with HOA Guidelines.